The BFG is a nice and jumbly giant. In fact, he is the only big friendly giant in Giant Country. All the other giants are big bonecrunching brutes, and now the BFG and his friend Sophie must stop them guzzling up little human beans – with some help from Her Majesty The Queen. Oh I loved his stories. 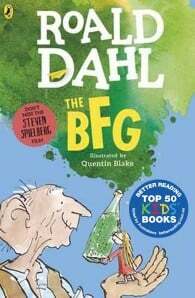 The BFG was s favorite. I love his books. If he was still alive keep on writing them.